USC scientists continue with their fossil fuel fight even as they develop a new method for producing reversible hydrogen storage based on methanol, without carbon emissions, in the final major paper co-authored by USC’s first Nobel laureate, the late George Olah. For a long time, scientist have struggled with producing and storing hydrogen, the kind that could one day provide the backbone for renewable energy fuel cells that help produce food, warm houses and move cars, without harming the environment or accelerating climate change. Chemists at the USC Loker Hydrocarbon Research Institute summarized a carbon-neutral method for doing just that, with a little help obtained from methanol, the simplest alcohol known to man. This was reported earlier this year in the Journal of the American Chemical Society. Senior author G. K. Surya Prakash, 1994 Nobel Prize in Chemistry winner Olah in his last major paper and their team at the USC Dornsife College of Letters, Arts and Sciences discovered a way to generate and store hydrogen from methanol, without concurrent production of either carbon dioxide or carbon monoxide, by trapping it in amines, also known as organic derivatives of ammonia. The famous steam reforming process usually used for extracting hydrogen from methanol, called the methanol reformer, traditionally generates carbon dioxide and carbon monoxide as part of this extraction process. Carbon dioxide is a greenhouse gas responsible for ocean acidification and global warming. “The Methanol Economy” is a concept that the Olah-Prakash team initially started refining in the mid-1990s, immediately after the time Olah became USC’s first Nobel laureate for his contributions to carbocations, the name coined by Olah himself for ions possessing a positively charged carbon atom. According to Olah and Prakash, a methanol-based economy will aim to produce renewable sources of energy, led by methanol, capable of mitigating the problem of climate change brought about by carbon emissions, as well as the dependency of the U.S. on other countries for energy, especially oil. In the intervening decades since the time Olah and Prakash started this research, there has been a growing demand to offset crude oil consumption. Global consumption of oil at that time was almost 70 million barrels; that number is anticipated to be about 100 million as early as next year. The transition away from petroleum has already been started by countries like China. The use of methanol there, in the beginning of the century, was negligible but now the usage of methanol accounts for more than 500,000 barrels every day, even though much of it is coal-based, which can produce its own problematic carbon runoff. 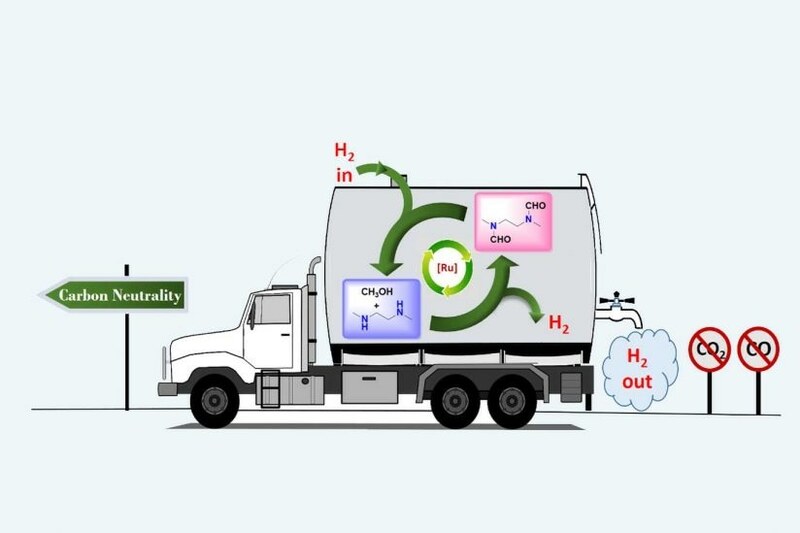 The research of Prakash, Olah and their team aims at discovering a way to extract hydrogen fuel from methanol through ways that can be carbon-positive besides being carbon-neutral. Methanol, at times known as “wood alcohol,” is considered to be the simplest alcohol that can be produced, with only energy, carbon dioxide and water. Methanol stores half the energy of standard petroleum-based gasoline, and the light that burns half as bright also burns a lot cleanly, without particulates, soot or other residue. The Environmental Protection Agency highlights that the combustion of methanol also generally generates less deleterious greenhouse gases in the form of nitrogen oxides. Methanol biodegrades in a rapid manner. Traditionally, it has been developed from natural gas and can be corrosive to older automobile casing and tubing, though much less so to the latest generations of automobiles. Methanol is considered to be a more efficient fuel to replace diesel or gasoline, however it provides fewer miles to the gallon due to its lower energy density. Additionally, methanol has long been prized by race car drivers for its higher octane on shorter tracks and also because it generates clearer smoke, preventing pileups. Unlike typical petroleum-based gasoline, water is treated to be effective in fighting methanol-based fires, even though those clean-burning fires frequently appear invisible in daylight. Visibility can also be increased by the inclusion of additives to methanol. Methanol is already being used in the raw chemical production of all petroleum-based products and chemicals. In a testament to its ubiquity, simplicity and elegance, methanol naturally occurs in tiny amounts in the Earth’s atmosphere, and there are also huge clouds of methanol floating in the star-forming regions of space. Last year, Olah, Prakash and team published research studying the differences between the formation of methanol both extraterrestrially and terrestrially. Olah was a giant of a chemist and a great visionary who had a prophetic approach to solve tough problems. He had remarkable memory and was quite intuitive. He was very well-read, he knew history and philosophy and appreciated music and the arts. He was a voracious reader. He can be described as a Renaissance man. This study also received contributions from senior research associate Alain Gopeppert, graduate assistants Jotheeswari Kothandaraman and Sayan Kar, and a summer intern, Raktim Sen, all of USC Dornsife. The USC Loker Hydrocarbon Research Institute supported the research that is available online.